The government of Tamil Nadu started replaced old ration card with a smart card system. 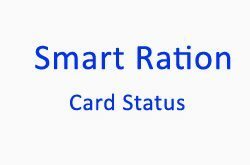 The old ration cards are automatically converted to smart cards by the Tamil Nadu government. Existence ration cards will receive a PIN to their mobile number and it can be collected from a nearby distribution centre by showing the old ration card or SMS. Here is the procedure to how to add/remove members in Smart Card-Ration card in TNDPS website. In the right side of the home page, under the useful links click on “Card Related Service Request”. Choose the option appropriate to the task you are going to perform. Select the option to add a new family member and fill the form with correct details. Upload all the required documents and click the submit button On TNPDS. To remove a family member, select remove the family member and click on submit. Select address change, fill all the details of the new address and upload the required documents and click “submit”. Note: Keep the reference number provided to track your details. Upload the required document proofs in the form of PNG, JPG or GIF format and the file size should be more than 2 MB.